HAYS, Kan. – A construction company out of Kansas City, Mo., was so impressed with its first student intern from Fort Hays State University last summer that it made him their poster child – literally. McCownGordon Construction was one of 30 companies represented at a career day for FHSU’s Department of Applied Technology last month. The company’s booth was one of the first that students could visit as they walked through the front door of the Center for Applied Technology building. 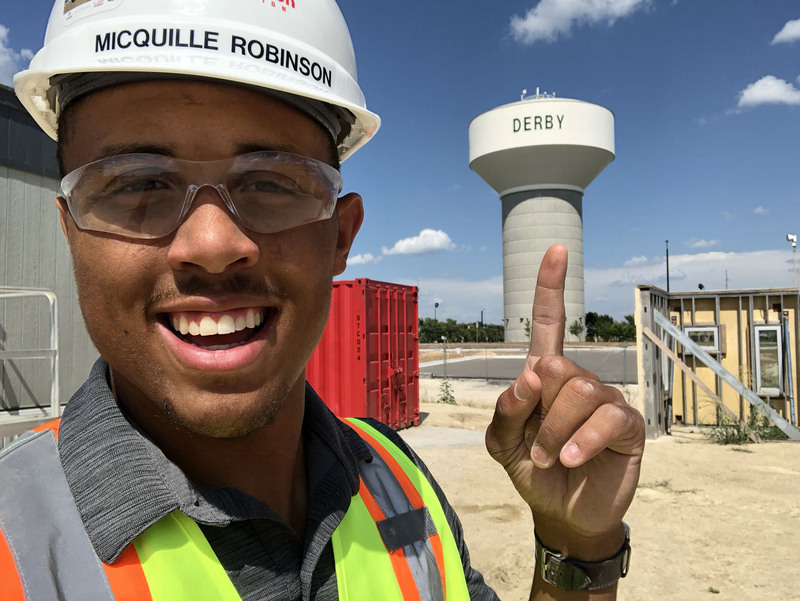 Pictured on one of its banners – with a white hard hat atop his head and a big smile spreading across his face – was Micquille Robinson, a senior construction management major from Wichita. It was McGownGordon’s first visit to FHSU’s career fair, and their representatives promised they would be back – especially after their experience with Robinson. Robinson sounded impressive to his new employer back in September 2017. Robinson was returning to Hays from a student-athlete leadership conference in Virginia and struck up a conversation with an employee of a concrete construction company in the Kansas City area. That gentleman reached out to McGownGordon. Within a couple of weeks, McGownGordon contacted Robinson to apply for an internship, which he successfully completed last summer. Landing internships isn’t quite that smooth for all applied technology majors. But the department strives to guide students through the process and give them a variety of opportunities, including hosting events such as the career fair. McGownGordon learned quickly what FHSU students have to offer. Local companies also make use of having interns and potential future employees readily at hand at FHSU.  One of those companies is Paul-Wertenberger Construction, which started with two employees (both FHSU graduates) back in 1983 and has grown to about 50. Paul-Wertenberger employs several Fort Hays State alumni full-time, as well as numerous students who work part time while going to college. The company sponsors two seminar rooms in the new Center for Applied Technology that was completed in August 2017, and a scholarship in PWC’s name is given to a construction management major each year. Wertenberger said that the construction industry “always need good help,” making it a highly marketable career. Paul-Wertenberger, which also hires FHSU graduates, has either built or remodeled several of the buildings on campus, including the current construction of the new art and design building scheduled to open in August 2019. Three other local companies that have employed students as interns since the fall 2017 semester are Commercial Builders, Hess Services and Sizewise. The Applied Technology Department works hard at getting the word out about its department. In addition to its career day in the fall, Applied Technology also hosts a conference for high school and middle school teachers as well as a visitation day for high school juniors and seniors. About 130 11th- and 12th-graders took part in the 2018 Junior/Senior Day Wednesday. Two more ways for prospective students from Kansas and sometimes even neighboring states to get a look at the FHSU campus are the High Plains ElectroRally in the fall and the Western Kansas Technology Education Fair during the spring semester. High school students from compete in the electrorally, an electric car race, as one of the races on their annual circuit. The technology education fair showcases projects from junior and high school students in technology education classes. The career day held in October was just the third of its kind, and Stewart said it has more than doubled in numbers since year one. Robinson stressed the importance of internships at the teacher conference the week before the career fair. Stewart said his department had 28 students involved with internships last summer. Since the fall of 2017, FHSU students have earned internships at companies in six different states. Seventy students participated in the career day activities, and more than half of those interviewed with companies for 2019 internships. The applied technology program has grown from 117 majors in 2012, when Stewart took over as director, to 190 this fall. More information about that program can be found at www.fhsu.edu/appliedtechnology. Its areas of study are construction technology, construction management, engineering design technology, manufacturing technology, and technology and engineering education. Robinson said he and fellow students learn that leadership, as well as time management, from professors who stress being active in organizations and activities. Robinson could be a poster child for the department as well as for McGownGordon. An honors student with a perfect 4.0 grade-point average, Robinson also puts in a lot of hours with the Tiger wrestling team. Once again, he learned last week that hard work pays off. After going 9-0 and claiming championships in two tournaments to start the season, the 184-pound Robinson was named the MIAA wrestler of week. Following the wrestling season, Robinson will take off for Kansas City to start on his new journey. But he hopes that isn’t until March. The NCAA Division II Regionals are scheduled for late February, with nationals set for early March.